Q: Who's Steering this Boat??? A: YOUR REAL ESTATE AGENT! Invest in a qualified Real Estate Agent! The number one thing you can do is choose your captain wisely. Because a home purchase is a ship disguised as a transaction and it requires a great captain. And no arguments about the commission payment either, because believe me, THEY EARN IT! A great Agent brings the proper tools for navigating the ups and downs of the transaction....from start to finish! One of the biggest things we dread as Inspectors is the call that includes phrases like "I don't have an Agent" or "I'm buying it from a friend with no Agents involved".... it's like performing surgery without a doctor! Really! Now, I don't pretend to be a Real Estate transaction expert (that's what I had MY Agent for!) But we are only one step in the process.... and I can tell you, from personal experience, there are 7 different types of services we offer, in 102 different zip codes, with 3 different Inspectors, including 67 Municipalities, countless loan program requirements, unlimited title offices, and 5 different types of payments to choose from! And that is just the Home Inspection portion! (Breathe, calm down, close your eyes if you have to and process all that...) You need a GREAT Captain of that ship! #1 - Agent ordered a termite inspection AFTER the home inspection was completed - Buyer paid for the original services with a check at the Inspection - Buyer withdrew the contract AFTER the Inspection and still hadn't paid for the termite (that's called a "dead deal" FYI) - Buyer hadn't responded to emails and text messages (Voicemail was full) - Agent was out of town at a conference in California - mutual release was due to fund without the termite being paid - Agent responded to a message from title while in CA - & WE GOT PAID!!!! #2 - Agent ordered a building and termite inspection for a property and it was set up for less than 24 hours from booking - Buyer had a VA loan - Agent contacted our office to let us know it was a VA Loan and asked what the policy was for payment on the termite inspection (VA requires the Seller to pay for the termite inspection, however the buyer should still be able to order it from a company of their choice) - Agent contacted the Seller's Agent and informed them - Seller called the office to pay by phone - CLIENT HAD THEIR TERMITE INSPECTION PAID!! #3 - Buyer was moving for his job - ReLo (that's short for relocation) company had specific parameters for payments by the buyer to be submitted for reimbursement - Agent contacted our office to ensure the invoice could be turned in and was worded correctly for the ReLo reimbursement - RELOCATION CO PAID & THE BUYER GOT PAID BACK!!!! #4 - Buyer's closing date was upon them - not all funds were accounted for - Buyer was in danger of losing a closing credit for a fairly weighty sum (trust me, by this point in the process, ALL sums feel weighty) - Agent phoned the office and requested payment tracking to verify and prove what method of payment was used at the Inspection - verification was provided - CLOSING PROCEEDED SMOOTHLY & EVERYBODY GOT PAID!!!! Terms: Our Agents read our reports all the time. They can quickly and easily help the Buyer navigate the language of the Inspection. Importance: A seasoned professional Agent can easily prioritize the items listed in the Inspection into what needs fixed, what needs replaced and what needs a price credit. Influence: Need something extra from me or one of my guys? It's yours! Our Agents call and relay requests all day long and they get you the results you need in record time! Guidance: Not sure what to do now that the Inspection didn't turn out the way you hoped? No worries. Your Agent can steer you through the steps required to halt the process and help you move forward until the home you are supposed to find appears! Find an Agent who has the skills and knowledge necessary to guide you. Ask around, see who other people like, meet a few, and then decide what is best for you. 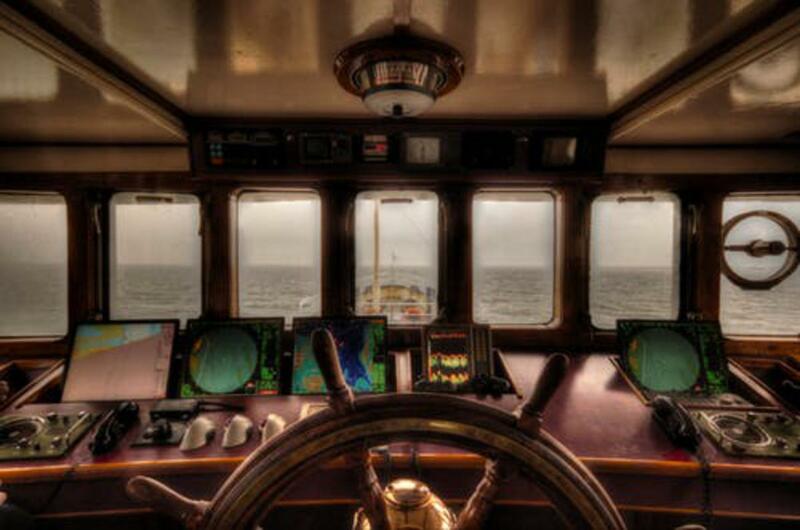 Nothing about this process is a "one size fits all" - and ultimately, you need the Captain that best suits your ship. Visit out Website and don't forget to check out all our other blog posts! - And to our Agents, WE ARE GRATEFUL!!! "Home inspectors are trained to run water and observe that it drains correctly, that the lines aren’t clogging or backing up. However, experienced home inspectors will tell you that it is not uncommon to test running water at a home for over 10 minutes with no problem observed, yet once the client moves in—the drain almost immediately backs up! Why? The problem is often that the main sewer line is clogged, or worse, has been broken and obstructed by tree roots in the yard. The inspector only runs the water for five to 10 minutes, which isn't enough water to find a backup in the main line from the street all the way back to the house." Thus begins the opening lines from the cover article of this month's Working RE Home Inspector Magazine, by Isaac Peck. (Click the link in red to read the whole article) Every month, this magazine arrives in our office - full to the last page with helpful articles and relatable incidents in the Home Inspection arena. This month highlights an all-too-common issue in the Home Inspection process. ... the buyer ordered inspections, but they skipped the Sewer/Lateral scope... (it was "too expensive"; it was an "as is home"; there is a municipal sewer program in place so why bother now, etc.) But, I guarantee you, standing in your basement of your new home, with sewage swirling around your ankles...you will be WISHING you had done this one! Don't believe me? Read the personal story of our company owner, Liz, and see for yourself! "My family of 5 moved into our home 18 years ago. Sewer Lateral Scopes weren't really a thing when you purchased a home. Of course, my husband "The Inspector" ran water, flushed toilets, pushed the water like he always does during an inspection before we moved in - No Backups! Fast forward to move-in week. It's never fun moving and having sick kiddos, especially when more than one gets the stomach flu. Well, I felt like I was running laundry and giving baths around the clock those first couple of days, all while getting moved into our new home. Water was flowing, and then it flowed backwards, right into my basement. All water usage had to stop. The plumber found a block a couple of hundred feet from the house near the connection to the City Sewer Line at the street. If the backup had been closer to our house, it would've backed up more quickly. Because it was so far down the line, it took longer and more water to reach the house. Either way, it backed up and entered my basement. No one can predict if something will back up or if lines are broken. You will only know through the camera lens of a Sewer Lateral Scope. Make sure you don't skip this process. It is worth the money to have the knowledge of the conditions of the lines." Is a Sewer/Lateral Scope cheap? - Probably not. But compared to the $5,000 to $10,000 cost to repair a broken, collapsed, or damaged lateral sewer line, it's PENNIES!!!! And the peace of mind, seeing clear pipe from your home to the street is worth the cost. You are protected for an additional 12 months at no cost to you! That's right! The SEWER/GARD protection plan for your home is included with every home inspection absolutely FREE! It provides automatic coverage for the first 90 days if you did not order this service and is extended to 12 months when your services included a Sewer/Lateral Scope. And that's not ALL..... Our Home Inspection services include a complete array of additional coverages, from top to bottom, ABSOLUTELY FREE to you! Feel free to check out all of our included services on our website: Castle Home Inspections, Inc. or give us a call and we can go over the entire program with you! Happy New Year! - From our Castle to yours! It's MINE!!! - Who really owns the Home Inspection Report! Merry Christmas from our Castle to yours! Treating You Like Royalty, From Contract to Keys! Olivette, Pacific, Pevely, Richmond Heights, Rock Hill, St. Albans, St. Ann, O' Fallon, Lake St. Louis, Wentzville, Shrewsbury, St. Charles City, St. Charles County, St. Peters, Sunset Hills, University City, Valley Park, Webster Groves, Wildwood, & St. Louis City. If you don't see your city, just give us a call!